Did he score 40+ points? No. Did he assist his teammates 7 times or grab 8 rebounds? No and no. What the 26 year old who the Bulls signed to be their third-string point guard did was ignite a fourth quarter comeback and knock down a game-winning three after a fantastic play call Coach Thibs drew up. 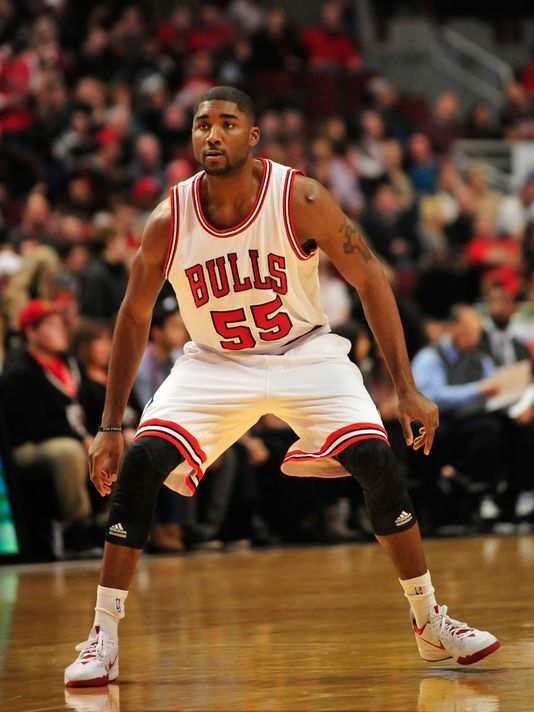 E’Twaun wasn’t just great during the fourth, he was great during his entire 22 minutes he spent on the floor. He went 9-10 from the floor for a career high 19 points. He didn’t turn the ball over once and Chicago was an outstanding +/- +17 with him ON the floor. His fourth quarter was special. He scored 13 points on 6/6 from the field, including the aforementioned game-winning three. Not only was his offensive performance special, he was really good on defense guarding Russell Westbrook down the stretch for the last four or five minutes of the game. The Bulls have been very unfortunate lately, losing Rose, Butler and Taj Gibson for extended periods of time due to injury. This was a breathe of fresh air for all Bulls fans and a HUGE win going forward. Winning games versus other playoff teams without two of it’s stars and a key role player will keep optimism alive in Chicago until the cavalry returns from injury. This is probably the only time he’ll end up as a player of the night during his entire NBA career, but tonight, it’s E’Twaun’s night.